I first heard about the Wesleyan Refugee Project at the club fair a couple of weeks into my freshmen year, also WRPs first semester. After hearing a little bit about it from Cole Phillips ’16, one of the founders of the organization, I decided to sign up and a couple of days later, I received an email asking me to sign up for the different organizations WRP works with. Paper Airplanes was the one that interested me the most. For my entire first semester I tutored two Syrian refugees living in Turkey. We skyped every week for the whole semester. One of my students wanted to go over TOEFL exercises, while my other student want to just have a conversation in English. Before starting working with WRP and then Paper Airplanes, I was one of the skeptics and always thought that my contributions to this specific organization cannot help the crisis in Syria, especially at its magnitude. After tutoring my students, Mohammed and Malik, I noticed the amount of appreciation they had for the weekly session. They were so thankful for the lessons and told me about their hopes and dream after taking the TOEFL exam. This made me realize it is possible to do something that will make a difference. During that time, I was also working on advocacy and worked on letter writing to three governors who initially said they were going to accept refugees in their state, but after the attacks in Paris in November 2015, they reversed their decision and denied refugee access. After a day of tabling and rallying student to sign letters to send to these governors, we sent over 400 letters the following morning. The following semester, I starting working more on the fundraising committee. I wanted to focus my time and energy on helping raise money for other organizations. I joined Sophie ’16 and Elizabeth ‘16 on planning the Art in Crisis Event. Art in Crisis was an art show from artists within the Za’atari refugee camp, the largest refugee camp in Amman Jordan, which is home to over 100,000 refugees. These artists range from professionals who taught art in Syria to youth who were studying Modern Art to those who newly developed their passion in exile. All the art that was shown was sold in a silent auction format and proceeds went directly to the artists in the camp and to the Amal Foundation. Working on this project was a great experience because it provided insight on the immigration process and the refugee crisis. It was a good way to reflect on how we were able to have a representation of the people and their situation via their artwork, but not the actual artist. This goes to show that borders only discriminate against people and can never discriminate against people’s’ stories. One of our goals last year was to raise enough money to send a Syrian refugee living in Jordan to college for 4 years ($16,000) through the Amal Foundation. With our partners and the amazing volunteers of WRP, we were able to send two students to college! It was one of my, and many other volunteers’, favorite and most memorable moments. I am Yemeni-American and to my knowledge the only Yemeni on Wesleyan’s campus. Currently, there is a proxy war going on in my parents’ home country. I was tired of hearing about things that were affecting me and my family members and others not knowing about what was going on. I was not surprised by the lack of knowledge and I understand why. There is no media coverage on the issue. So, I decided to host an event, co-sponsored by Middle Eastern Student Union and WRP (among others), called Yemen: The Unknown War. A couple of months before the event, I watched a video on the internet that discussed Yemen. There is a misconception that the war in Yemen was a Sunni-Shiite conflict, when in actuality it is a political war between the Houthi rebel group and supporters of Yemen’s internationally recognized government. But, in the video I watched the former U.S. Ambassador to Yemen, Barbara Bodine, talk about Yemen- the Yemen my parents and I know. So, I decided to contact the Ambassador and invite her to speak to the Wesleyan community about the conflict and provide some historical context. This event was to inform the public on the war that was unrepresented and with the help of the Wesleyan Refugee Project, the attendance and participation of other students was successful. Finally, I recently started working with IRIS and IRAP. IRIS works to help refugees and other displaced people establish new lives and contribute to the Connecticut community. IRAP helps families and individuals in emergency situations navigate the resettlement process, so they can be safe from dangerous situations. Both of these organizations and their many volunteers work really hard to make a difference in these people’s lives. It is so fulfilling to watch these people regain hope. My first cases with IRIS were recent. I helped Syrian and Colombian refugees with their energy assistance applications. Every time I asked either one of them a clarifying question, they would answer and always say ‘thank you’ after every question. They were constantly expressing how grateful they were for the small action of filling out an application for the them and their families. 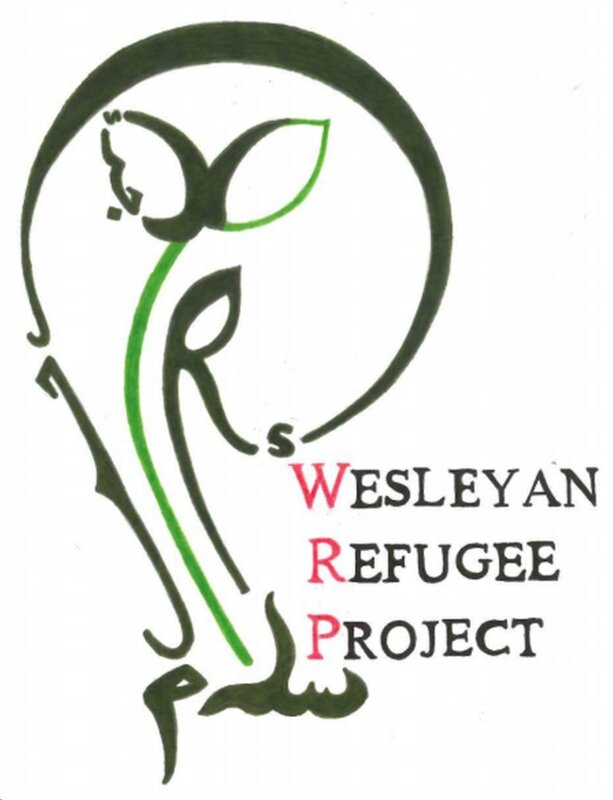 The Wesleyan Refugee Project is an organization full of the most amazing, friendly, dedicated individuals who do so much to help people who are in need of it. Their work does not go unnoticed and is greatly appreciate by the people they help. Wes Stands with Refugees. We Stand with Refugees. I Stand with Refugees.